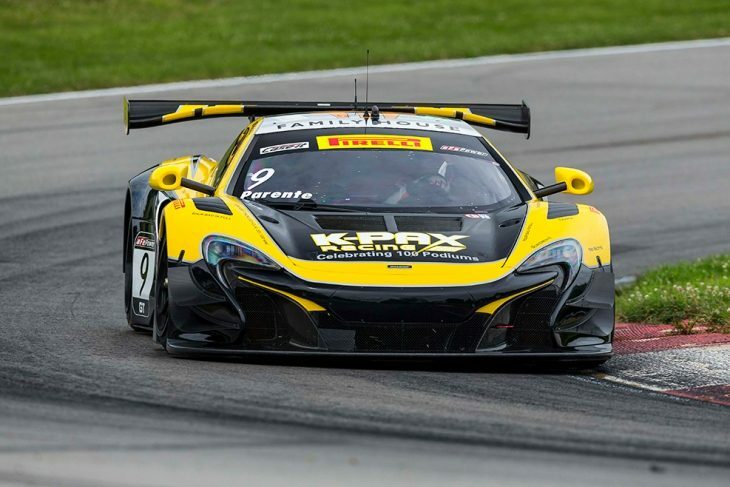 Alvaro Parente, driving the #9 K-PAX Racing McLaren 650S GT3, closed the points gap at the top of the Sprint GT Drivers Standings to just nine points behind Patrick Long after winning the first Pirelli World Challenge GT race of the weekend at Mid-Ohio. Cadillac Racing took second and third places in the Pro category after Michael Cooper, driving the #8 Cadillac ATS V.R, crossed the line 6.857 seconds behind Parente. The sister #3 car, driven by Johnny O’Connell was .462 seconds further back. The race was largely incident-free with Parente leading the field away from pole position. 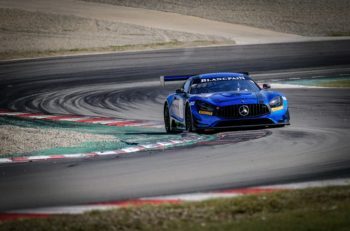 A single safety car incident occurred with 15 minutes left to run when the #69 Champ 1 Mercedes AMG GT3 driven by Pablo Perez Companc spun. Recovery of the stricken Mercedes meant the race was neutralised for six minutes. At the re-start, Parente appeared to get a slight jump on the field, allowing the Portuguese driver to retain his lead which he held to the chequered flag. Parente was delighted at the manner of his victory. 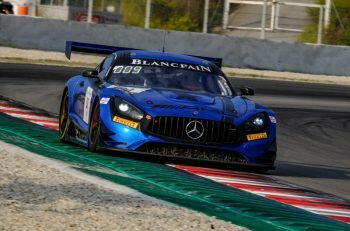 Parente also took the fastest lap of the race with a 1:20.802, putting the #9 car on pole for Race 2 on Sunday July 30 but he was careful to suggest that a second win is guaranteed. “Tomorrow’s another day. We take this win – we’re very happy. Let’s see what happens. The race is at a different time of the day tomorrow. Let’s see what the weather does but I think we’ve got a very strong car and good chance again for tomorrow. The Am class was won by James Sofronas driving the #14 GMG Racing Porsche 911 GT3 R but the Californian driver was pushed hard to the line by Michael Shein in the #16 Wright Motorsports Porsche. Third in the Am class was Tim Pappas driving the #54 Black Swan Racing Mercedes AMG GT3. Shein led the field away from pole position but Sofronas took the class lead within the first five minutes. After the win, Sofronas was quick to pay tribute to Michael Shein. The GT Cup class was won Yuki Harata in the #55 Dream Racing Motorsport Lamborghini Huracán Super Trofeo. The two class entries, Harata in the #55 car and Marko Radisic in the #11 Precision Driving Ferrari Challenge Evo, were having a close race until a coming-together damaged the #11 car, resulting in Radisic’s retirement. In the Sprint GT Drivers Championship, Long maintains his lead on 134 points while Alvaro Parente closes the gap on 126 points. In the GTA category Drivers Championship James Sofranas leads on 138 points, 24 points ahead of John Potter in second place. Tim Pappas remains in third place on 108 points. Race 2 for the GT and GT Cup class cars takes place on Sunday July 30 at 12:00 local time (17:00 BST).